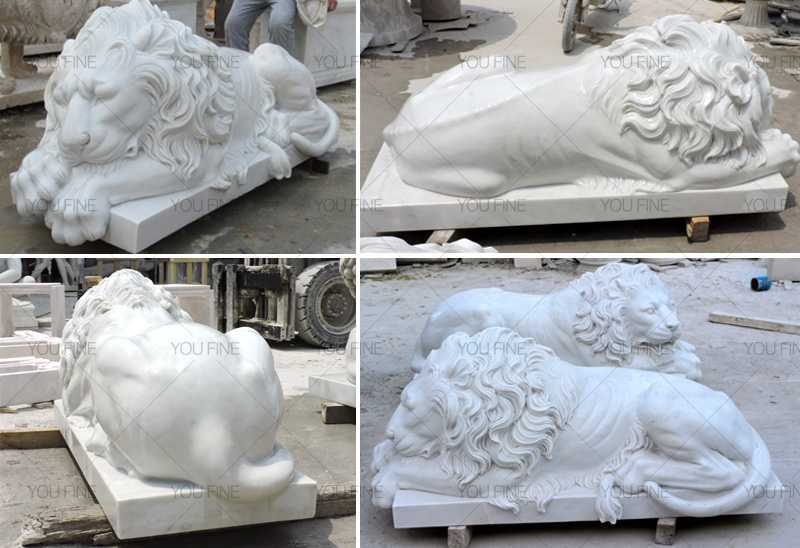 Any requirement about Lion Guardian Statue Outside Life Size for Front Porch,or want to custom made any other statue in marble,please contact with us right NOW !Lion Guardian Statue Outside Life Size for Front Porch offered are suitable for self decorative use as well as a decoration item for front porch. 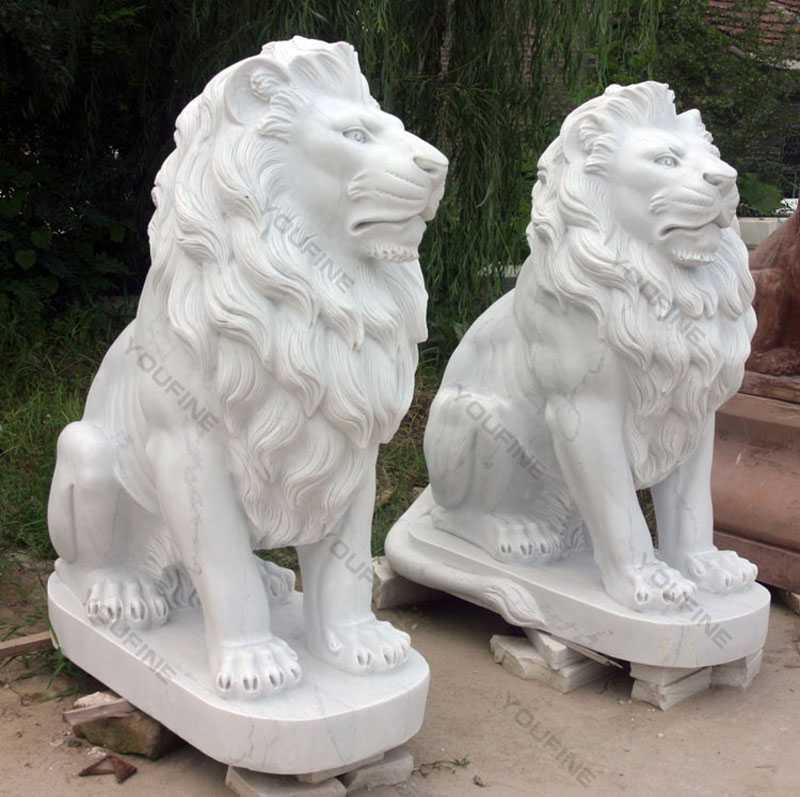 Lion Guardian Statue Outside Life Size for Front Porch being one of the most renowned and top level company in this profession of manufacturing and supplying several kinds of supreme quality statues and sculptures, we have also included these marble animal sculptures. 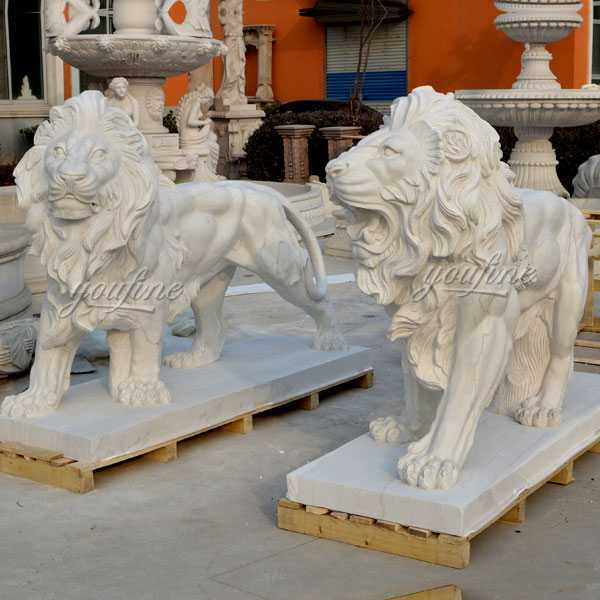 This helps us provide our clientele a much wider range of selections and choices so that they can satisfy their desires to its maximum. 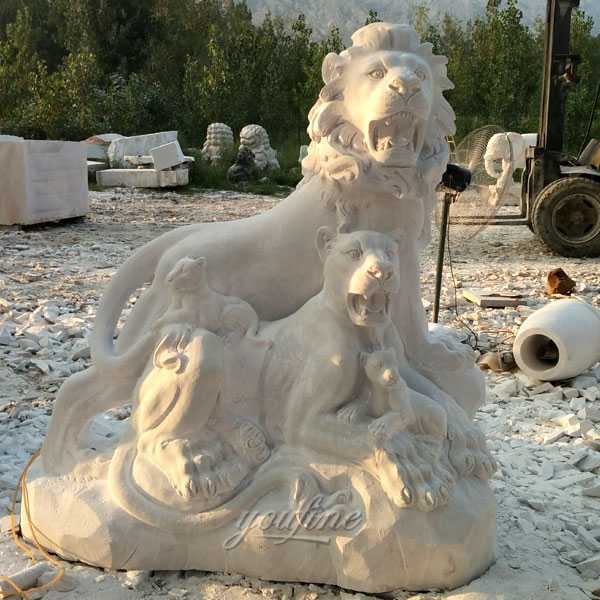 These marble animal sculptures are made using very high quality and rarely found marble stones which provide these sculptures a very brilliant attraction and a glorious look. 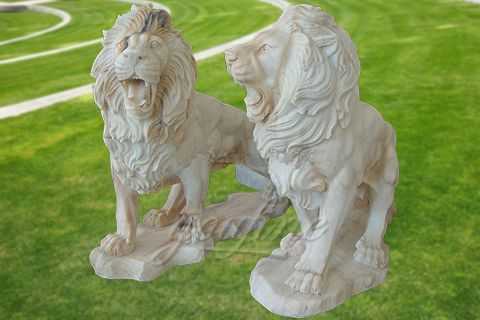 These marble animal sculptures are available for our clients at a very convenient range of prices at our company. 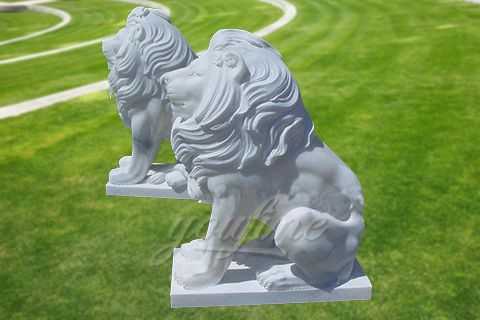 Lion Guardian Statue Outside Life Size for Front Porch offered are suitable for self decorative use as well as a decoration item for front porch.Featuring smooth marble crafted finish, these sculpture choices are also demanded for its unique appearance and fine sheen finish. 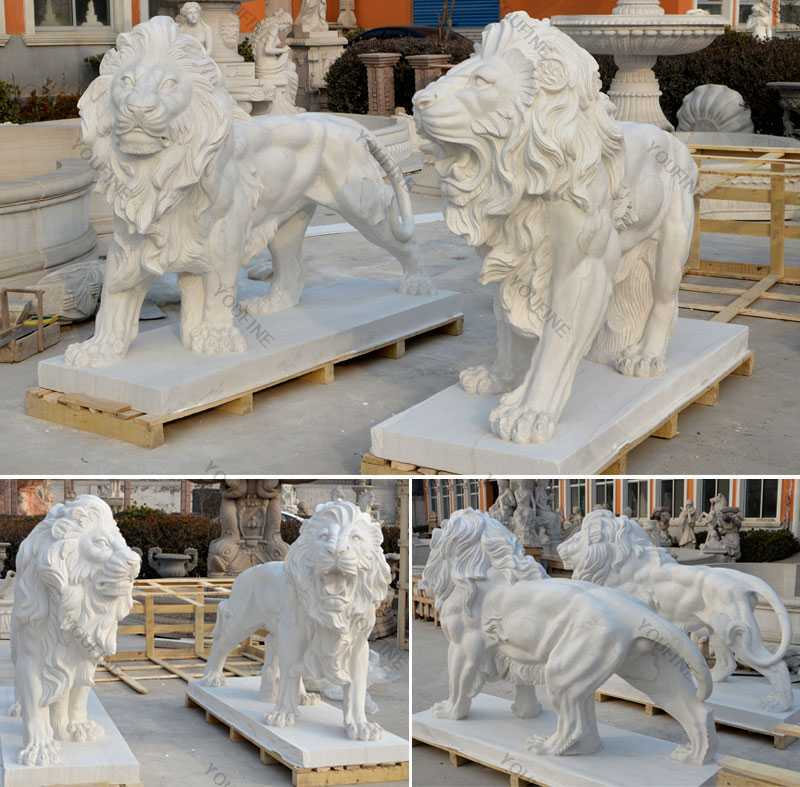 Lion statues for front porch are believed as a protection for a particular place. 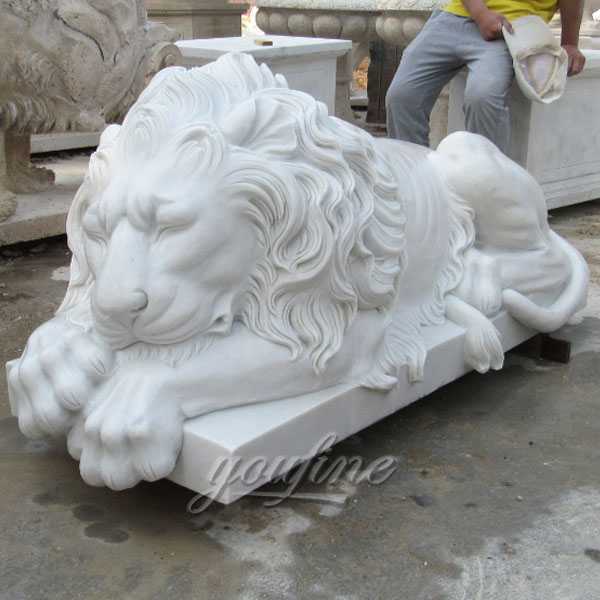 There are many animal statues which are represented the symbolic meanings.Lion statues, for instance, are considered as the king of the forest from other animals.This animal statue carries a meaning of power and magnificence. 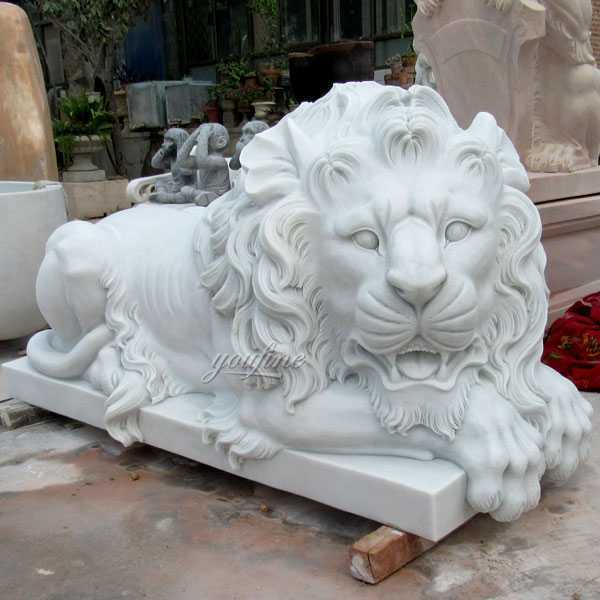 That is why lion statues are good to place on the front porch of a building, an office, even a home. 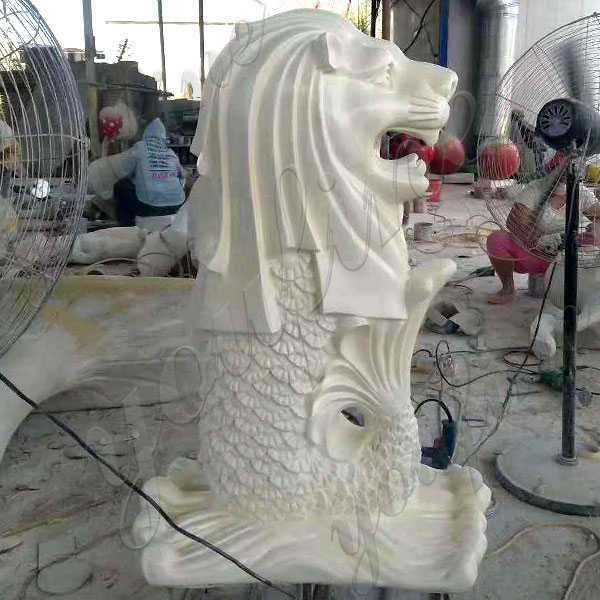 Any requirement about Lion Guardian Statue Outside Life Size for Front Porch,or want to custom made any other statue in marble,please contact with us right NOW !